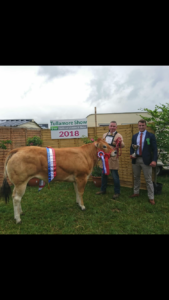 James Duerden was invited over to judge the Irish Parthenais cattle at the Tullamore Show on the 12th August. Members Paul Webber and Nathan Janes met up with James. 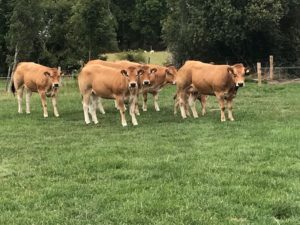 They were all made very welcome by the Irish Parthenais Cattle Society. 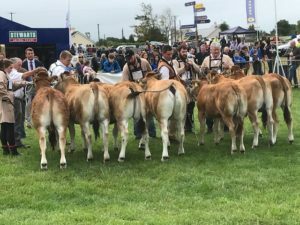 James had his work cut out judging some excellent cattle forward, as there was a large number entered in the various classes. The group were shown around some amazing Parthenais herds around Monaghan, Galway, Westmeath and Wexford. James was well looked after and stayed on to visit more farms in the south. Our thanks to our hosts and members of the southern Irish Parthenais cattle society.